Traditional, classic bags. Now in a new colour. The traditional costume bag is a classic from the house of Schuhmacher. 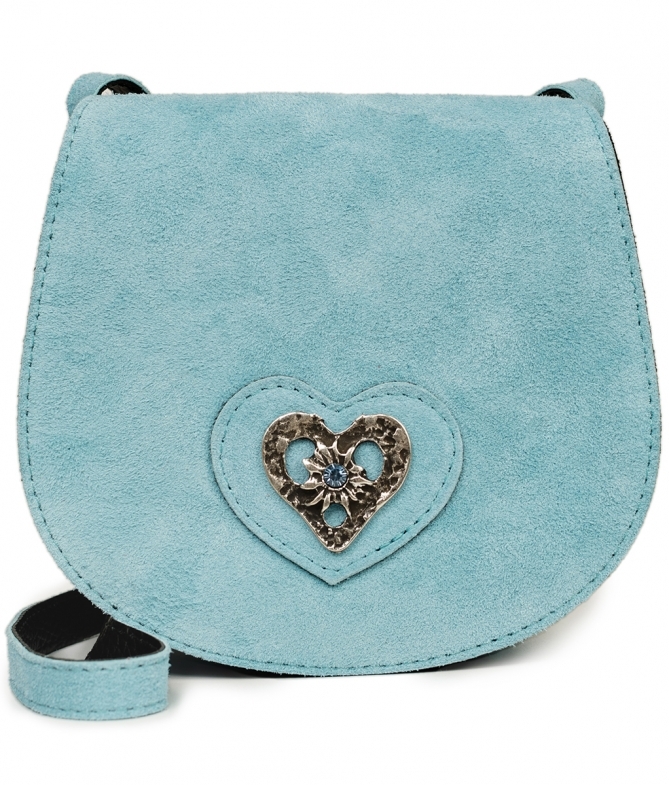 The metal heart made of finely hammered metal with the rhinestone edelweiss detailing is a new element and also new, of course, is the colour: grey-blue. The variety of colours for this traditional, costume and especially the dirndl, has been expanded. Pastel summer colours have been added which can now be perfectly used with our new bag colours. The size of the bag 15.5x15x5 cm is well proven and as a shoulder bag easily portable. The bag is still made of fine suede. Here in the new colour grey-blue.